Ultra-Low Sulfur Highway Diesel Fuel. 15-PPM Sulfur Maximum. 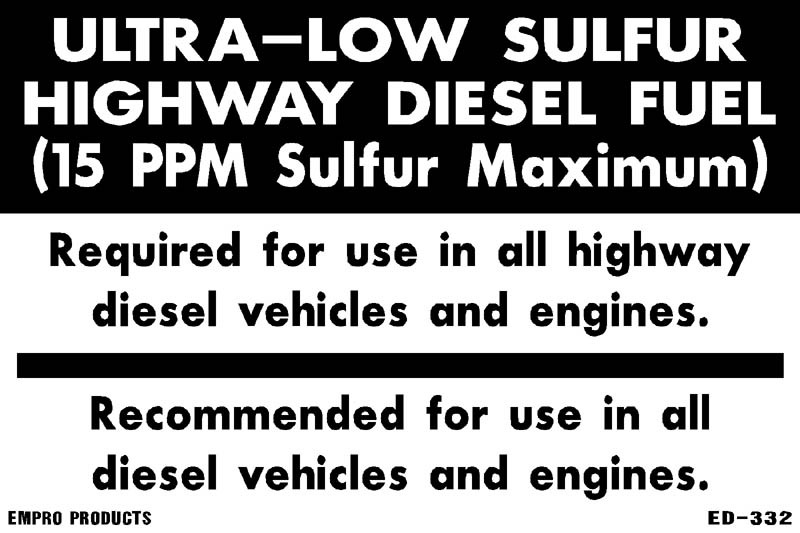 Required for use in all highway diesel vehicles and engines. Recommended for use in all diesel vehicles and engines.